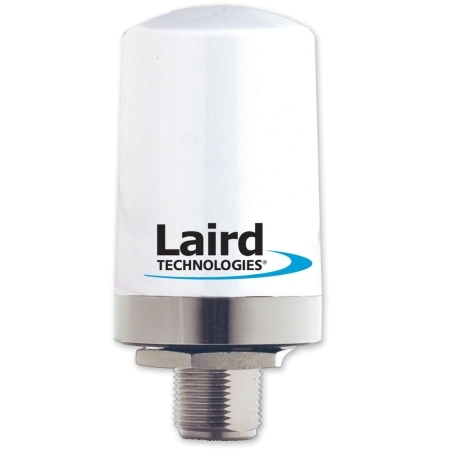 Laird Technologies' unique patented Phantom dual-band antenna operates simultaneously at 2.4 GHz and 4.9 GHz and is a tough antenna for outdoor or indoor applications. The revolutionary design measures only 2.3" and features both vertical and horizontal polarization. This gives the antenna diversity, frequency agility, low visibility, wide bandwidth and a low angle radiation pattern that is superior to traditional gain antennas in most applications. The industry standard NMO mounting socket mates with all Laird Technologies' magnetic, trunk lid, and hole mounts.